Which vitamins against hair loss? Vitamins for Men's Hair Growth | What Vitamins Do Men Need? Getting older is unavoidable, it’s a fact of life. We know that eventually, our skin will get wrinklier and our hair go gray. However, there are things we can do to age with grace and keep our most prized features in tact, including our hair. Nutrition is key to our overall health, regardless of age. But when symptoms of hair loss appear, it requires a little more attention. One in two men will suffer from some mild to severe hair loss in their lifetime. It can even begin as early as their teens, although it’s more likely to appear later in life. Is hair loss hereditary? If so, is it responsible for the severity of your condition? Genetics are one of the leading catalysts in the severity of hair loss. Men whose fathers or relatives have male pattern baldness are at a higher risk as well. This is particularly true when their relatives are on the maternal side of the family. Losing hair can be very stressful; it affects us in ways more psychological than physical. Guys can feel they are not manlike or are losing their youth, when they begin to lose hair. If your hair loss begins at your temples or the top of your head, you may have male pattern baldness. Some men will get a single bald spot, and this spot will spread from the crown until the top of your head is left with dead follicles. Others experience their hairlines receding to form an “M” shape. Many types of health conditions can be a cause of male pattern baldness, especially if symptoms manifest themselves as one or more of the following: rash, redness, pain, peeling of the scalp, hair breakage, or when your hair is falling out in patches. A skin biopsy and blood tests may be recommended by your doctor. However, in most cases, you can prevent hair loss by improving the vitamins and other nutrients that your body, including your hair follicles, are absorbing. Learn More about Vitamins For Hair. Taking the proper hair vitamins and following a nutritious meal plan will greatly improve your hair's strength and overall health. Vitamin C is essential for growth and development, and is often praised for its ability in the production of antioxidants-it’s also important for your hair. Vitamin C helps you produce collagen, which is the most abundant protein in the human body; making up one-third of it including your hair, skin and nails. Vitamin C also helps protect against damage that free radicals can cause to body tissues. Another nutrient which benefits your hair comes in the form of a humble seed: Flax seed. A tablespoon of flaxseed contains 2 grams of plant-based omega-3s. Vitamin E is also in Flax seeds and is also a key nutrient for healthy hair. Vitamin E helps stimulate the growth of blood capillaries in your follicles. Vitamin E also helps prevent the discoloration of hair. On top of that, flax seeds help provide nourishment to your hair roots and scalp. Another benefit to tack onto the list is that omega 3’s help nourish hair follicles, in turn making hair strong and healthy. The amino acids are broken down and turned into protein which help build keratin, a key structural component of hair. 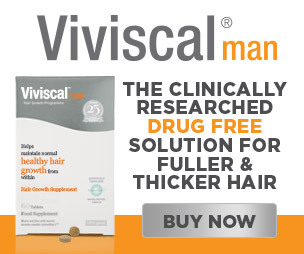 Viviscal is the #1 selling hair growth supplement in the U.S. Viviscal Man has been shown to nourish thinning hair and promote healthy hair growth that is naturally thicker and more full of life. The only vitamins we use are those that will be absolutely beneficial to your hair. It’s also 100% drug free. 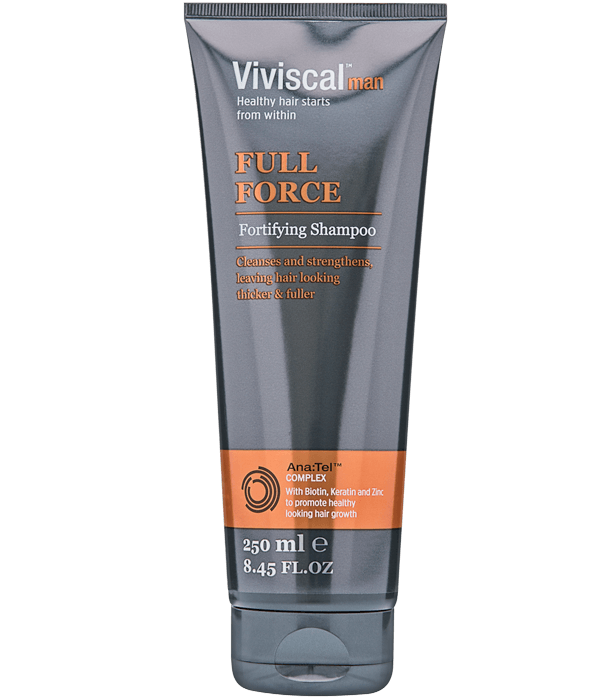 Viviscal Man hair growth pills contain the exclusive marine complex AminoMar®, as well as healthy hair nutrients including Vitamin C, Zinc, Horsetail (stem) Extract and Flax Seed Extract. Viviscal Man hair loss pills have been scientifically proven to nourish hair from within and help promote existing hair growth. Gentlemen, Viviscal can help you bring back the look and feel of your hair. Don’t let age and hair loss determine your confidence. What Vitamins Help Grow Men's Hair?